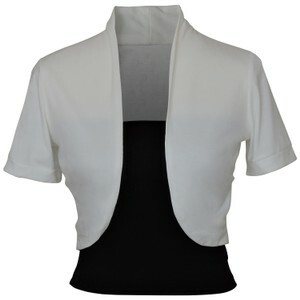 Short Sleeve Bolero Shrug w/ Tube Top. 2 separate pieces (shrug and top) set. Pants NOT included. SHRUG COLOR: White. TOP COLOR: Black. TAG SIZE: Large. 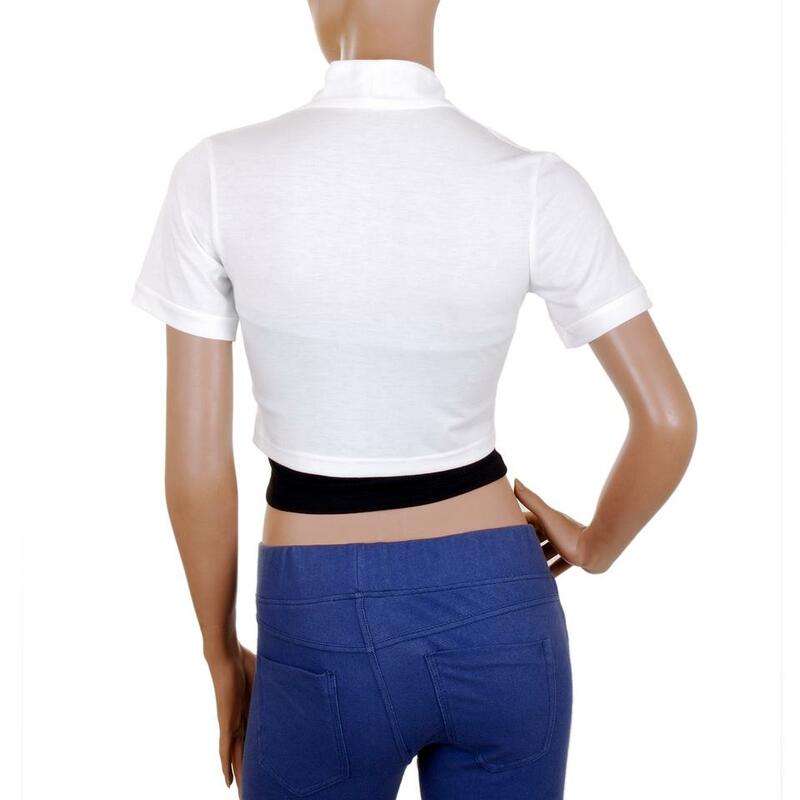 MEASUREMENTS: Top bust- 36 inches, Top waist- 28 inches, Top length- 12.5 inches, Shrug length- 16.5 inches. MATERIALS: Stretch Knit, 47% Polyester, 47% Rayon, and 6% Spandex. **Other colors and sizes available - just ask!